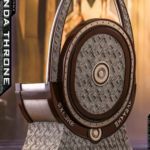 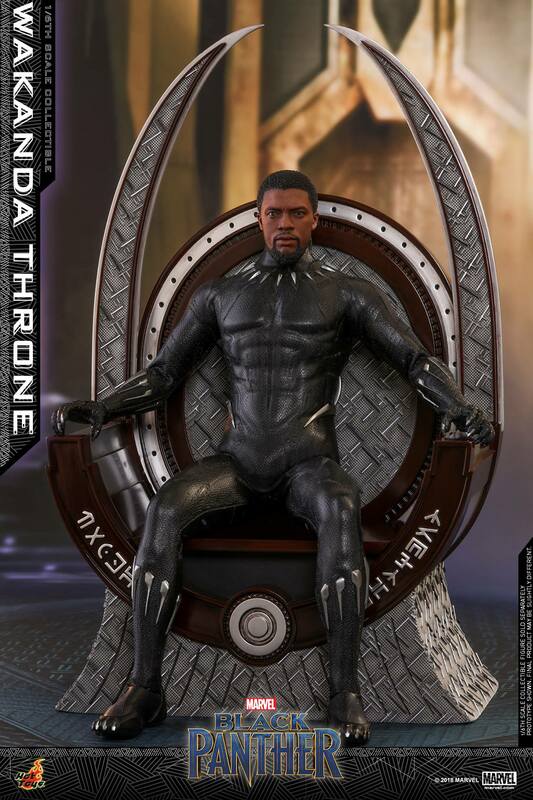 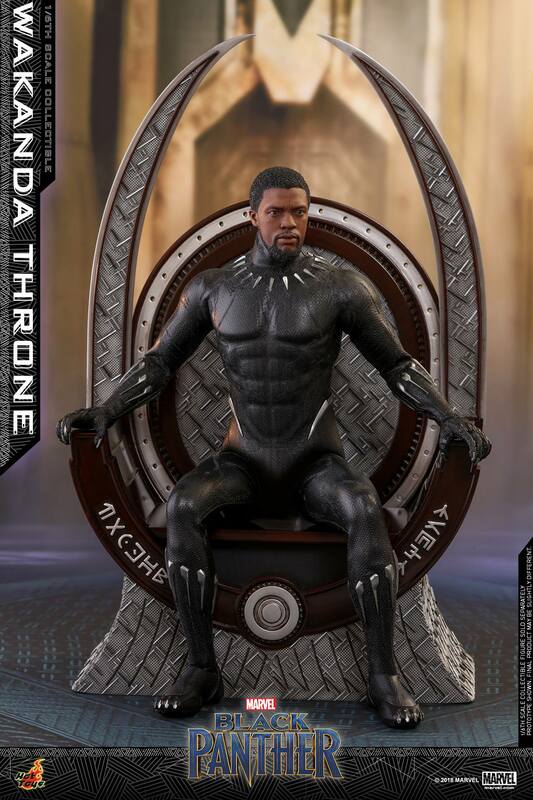 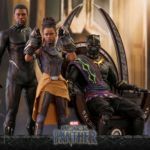 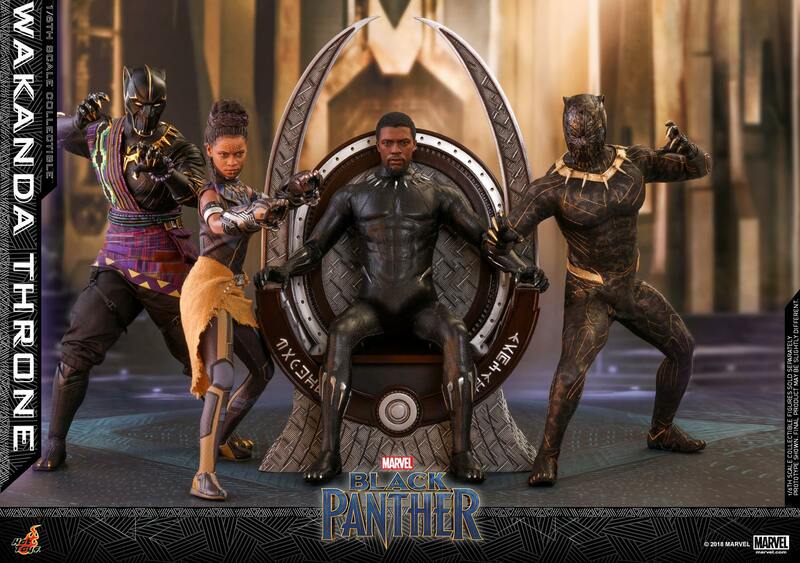 Official photos and details have been released for the new Black Panther – Wakanda Throne 1/6 Scale Collectible by Hot Toys. 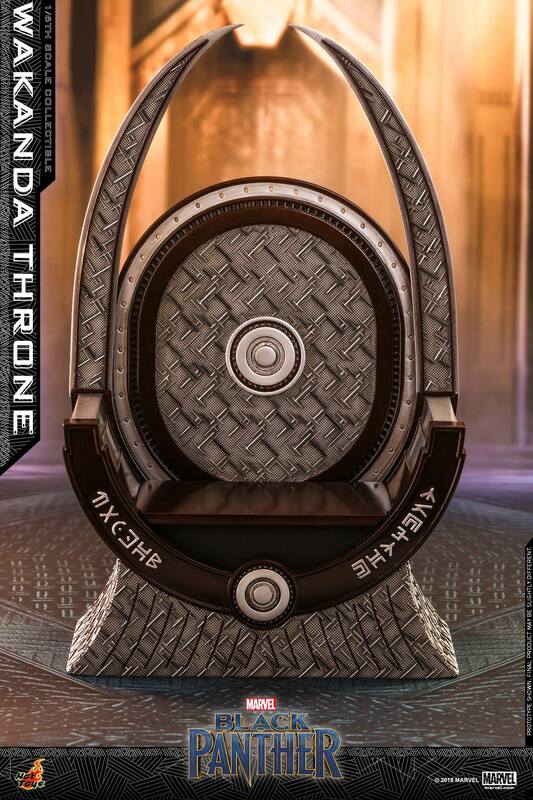 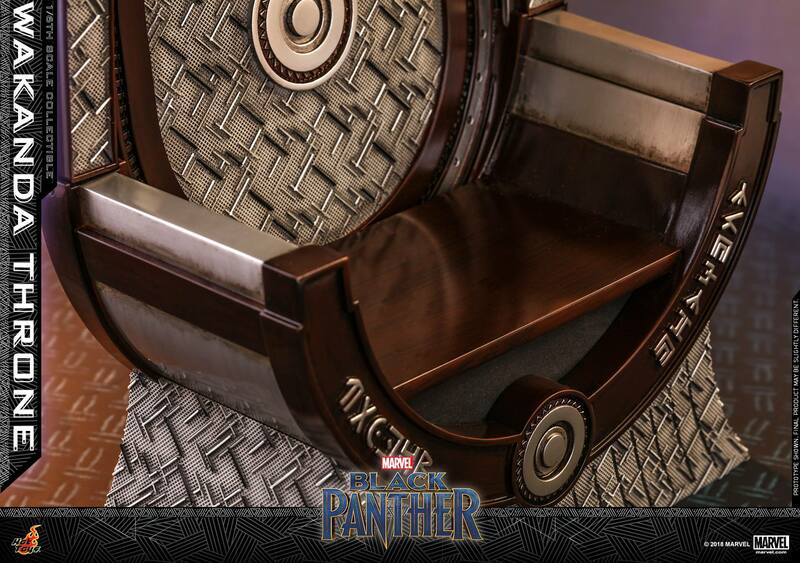 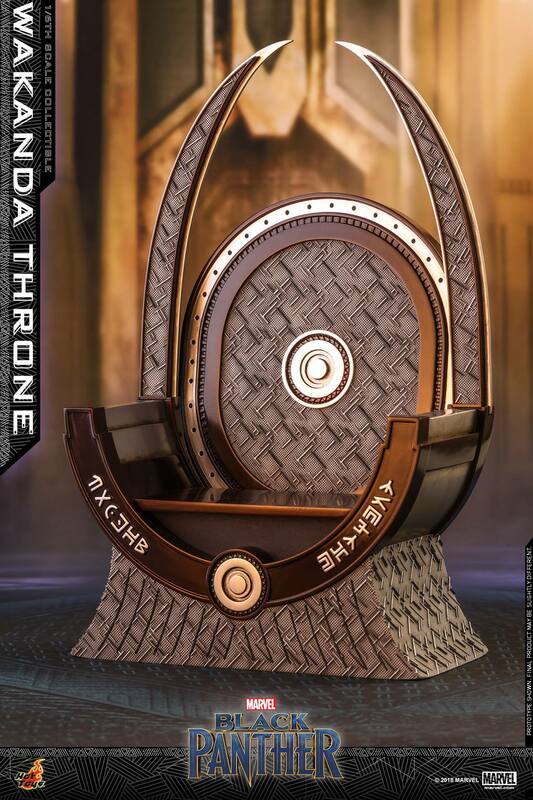 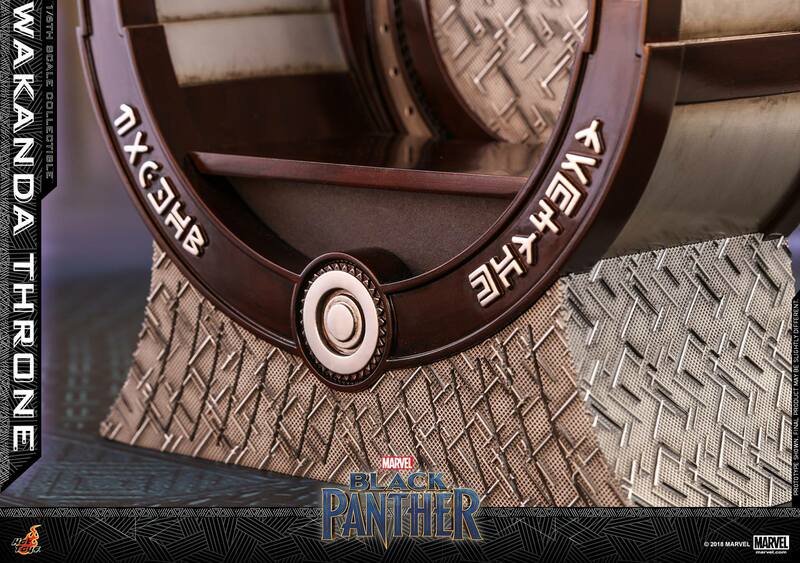 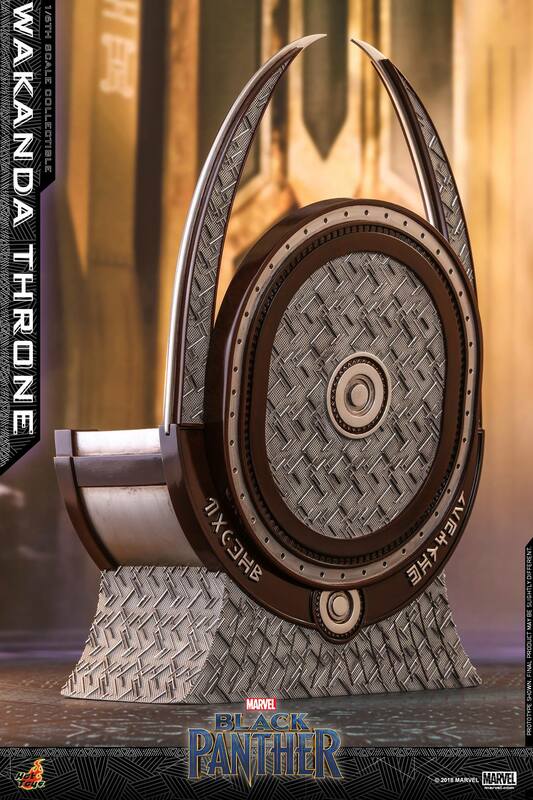 Based on the Wakanda King’s throne from the hit film, this collectible includes a metallic paint deco with additional weathering effects. 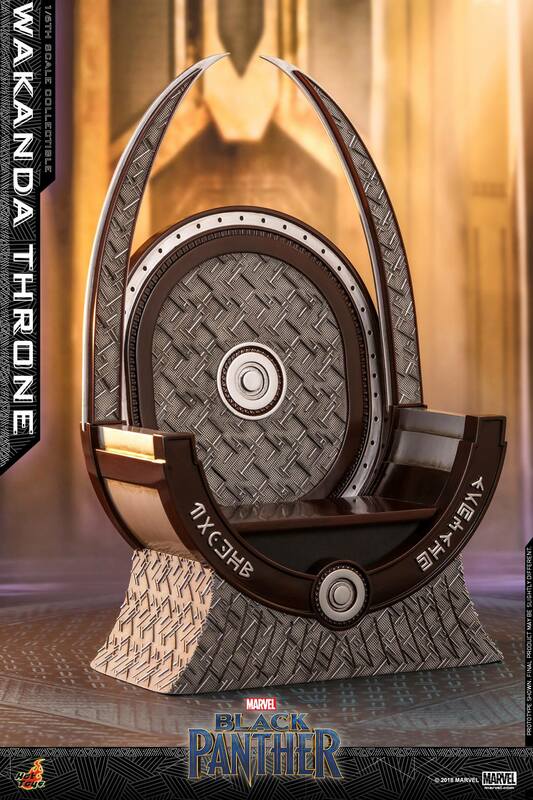 The throne stands nearly 13″ tall. 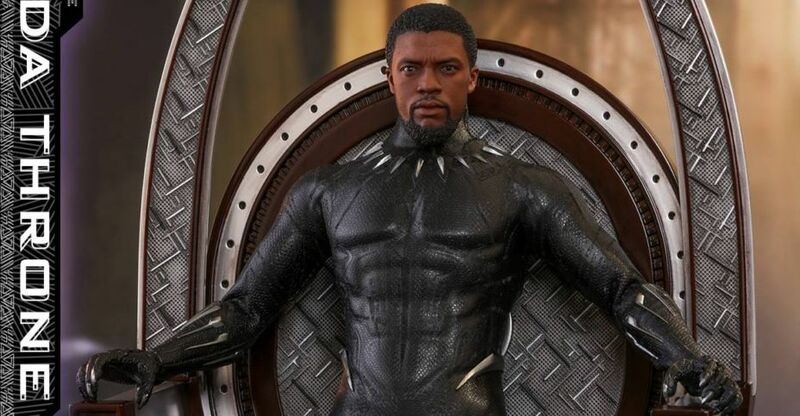 No figure is included with this release, which should keep the price down a bit. 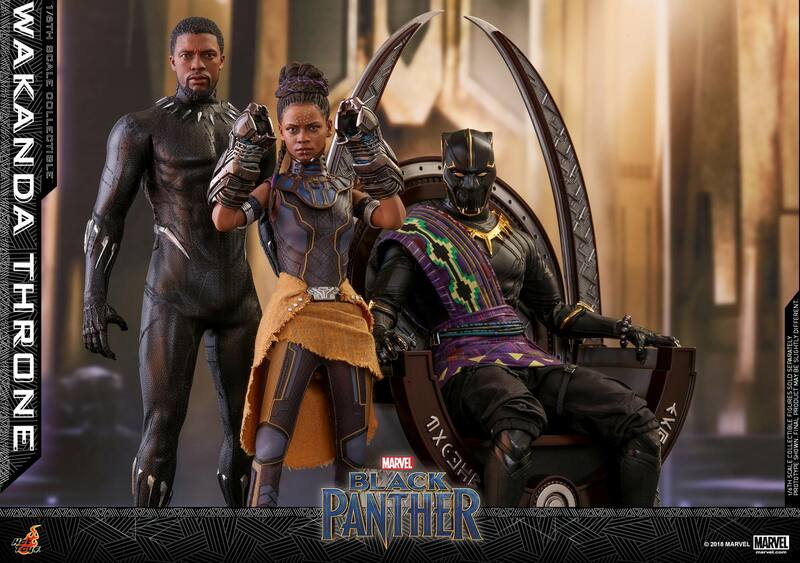 See the official details below and see the photos by clicking the headline o the story. 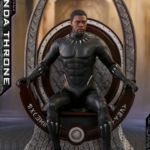 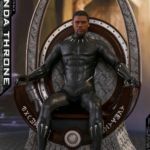 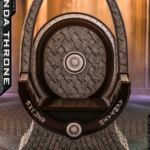 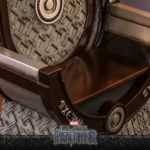 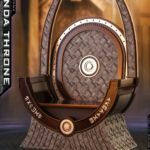 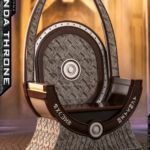 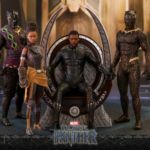 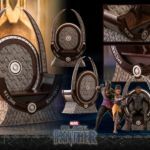 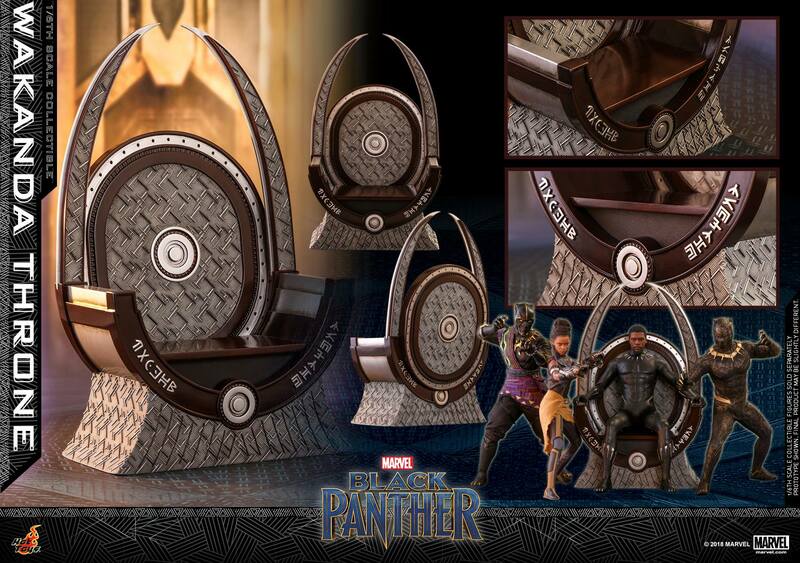 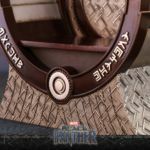 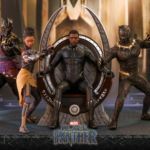 Perfectly crafted with authentic and fantastic details, the movie-accurate 1/6th scale Wakanda Throne collectible stands approximately 32.5 cm in height, 19 cm in width features an extra-high back peacock chair that beautifully combined with woven rattan ends, decorated with Wakanda’s unique graphical script, and finished with metallic painting and natural wood grain texture intricately. 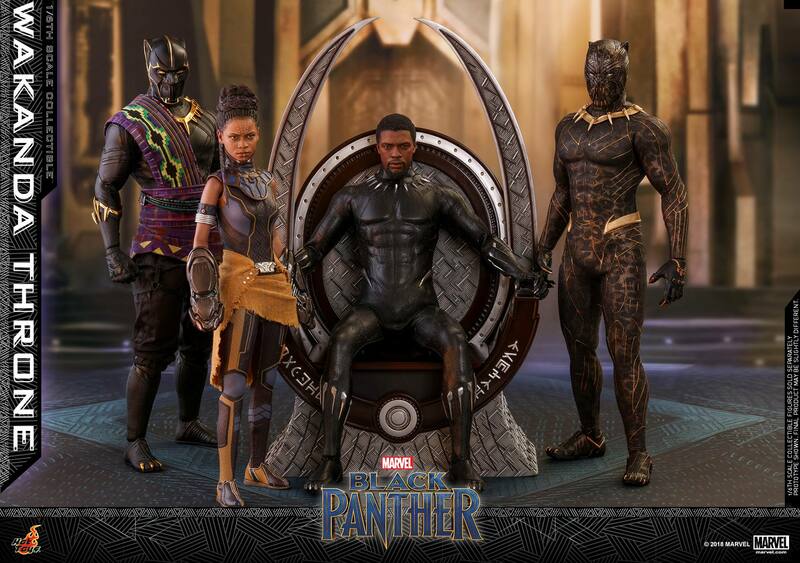 I thought for sure this was going to be bundled with the clothed figure from SDCC, a bit surprising.